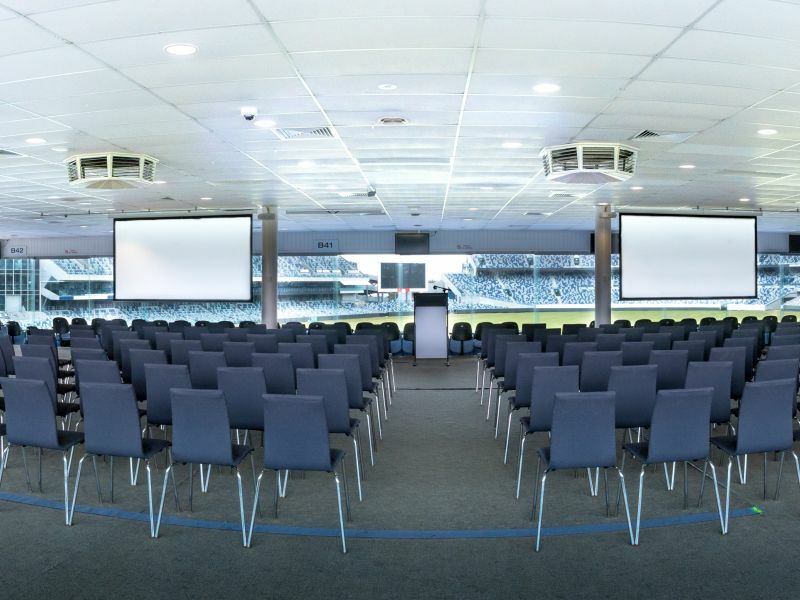 Boasting the largest event space in the region, Higher Mark venue, GMHBA Stadium is the epitome of class. 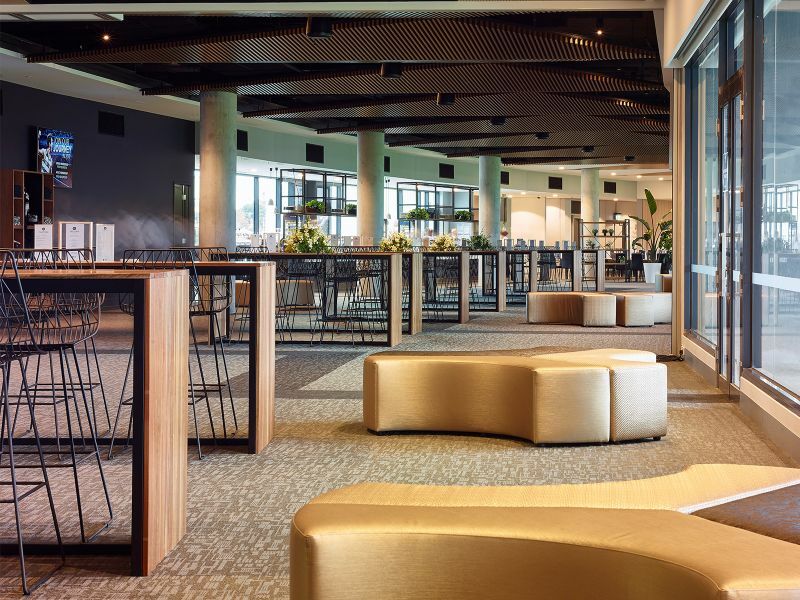 Neutral in design, our premium 32 event spaces offer external terraces and sweeping floor to ceiling windows flooding with natural light, contemporary design features and stunning views over surrounding parklands, Geelong’s skyline and playing field. Higher Mark's versatile spaces can be adapted to suit all event size requirements with facilities for 2 to 2,450 guests. Food and beverage options with Higher Mark will impress even the most discerning guests. Our experienced chefs offer a range of creative menus, with a focus on local produce, to cater for each memorable event. A grand atrium entrance leading to the stadium's largest capacity and most premium event space comprises of sweeping floor to ceiling windows overlooking the ground. 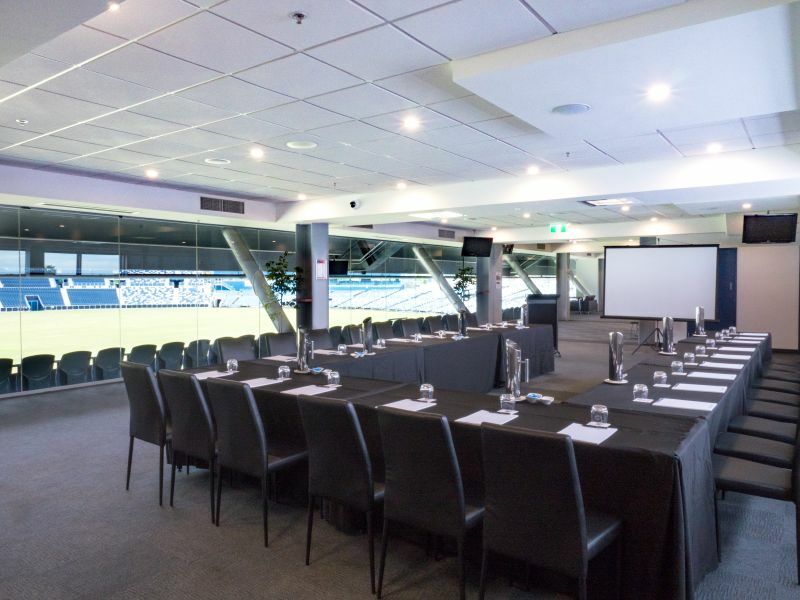 This versatile, modern event space, catering for a variety of events is located on Level 2 of the prestigious Charles Brownlow Stand, offering superb views of the ground. 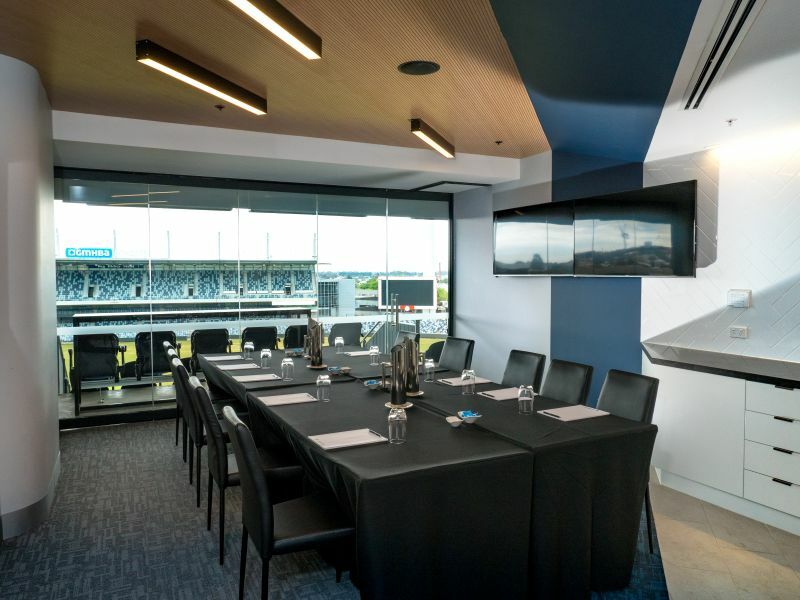 A private entrance leads to the level 3 Captains’ Room which embraces floor to ceiling windows that overlook GMHBA Stadium and the city skyline. These suites create a flexible area for smaller events and functions while still maintaining ease with pre-function and lounge areas. 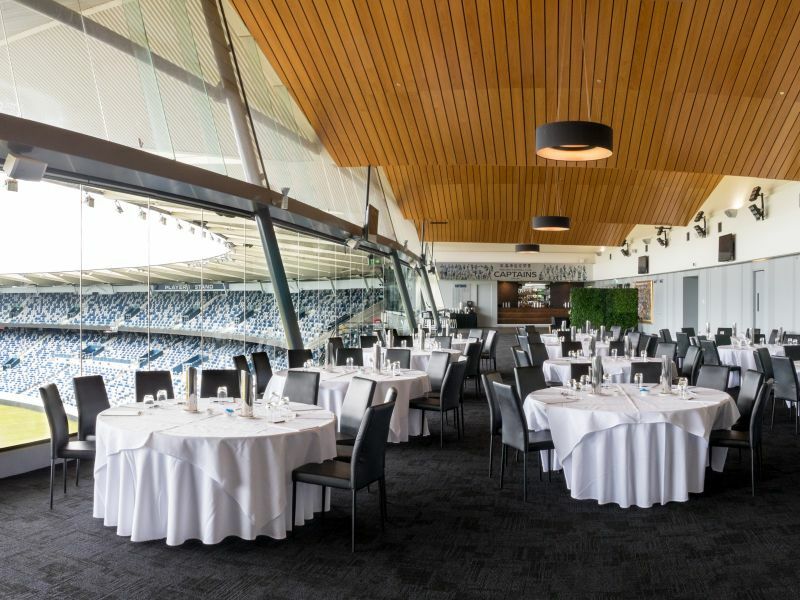 The level 2 function area situated in the Hickey Stand provides the ideal space for stand up cocktail functions or more casual events at GMHBA stadium. 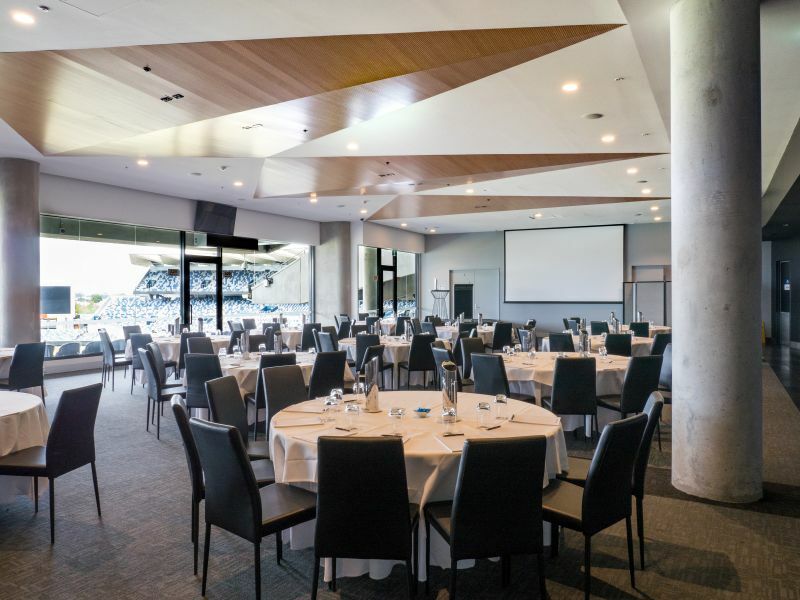 A function room full of club history which overlooks the stadium from the Ford Stand, the Fred Flanagan Room is a unique and versatile function and event space. 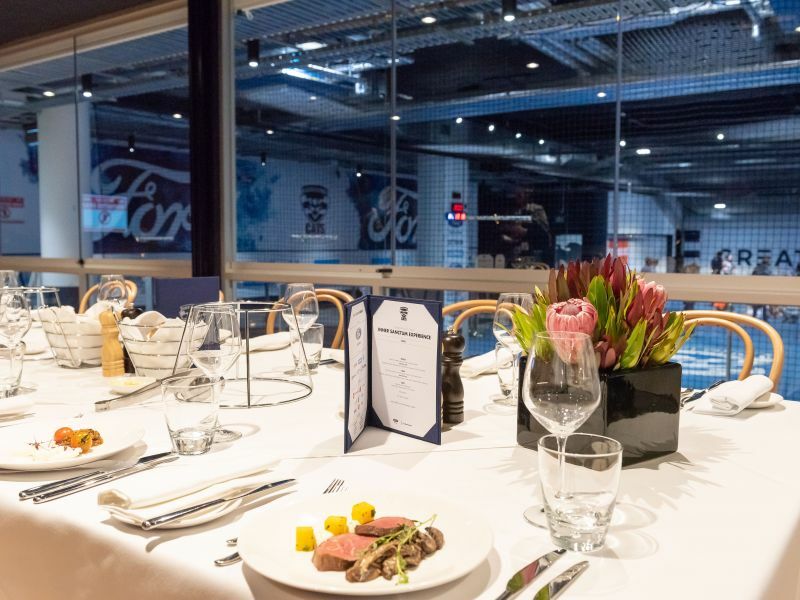 Easily accessible and exclusively overlooking the player warm up area providing a unique insight to the inner sanctum of the club, the Charles and Co. Café is an simple yet distinct function venue. 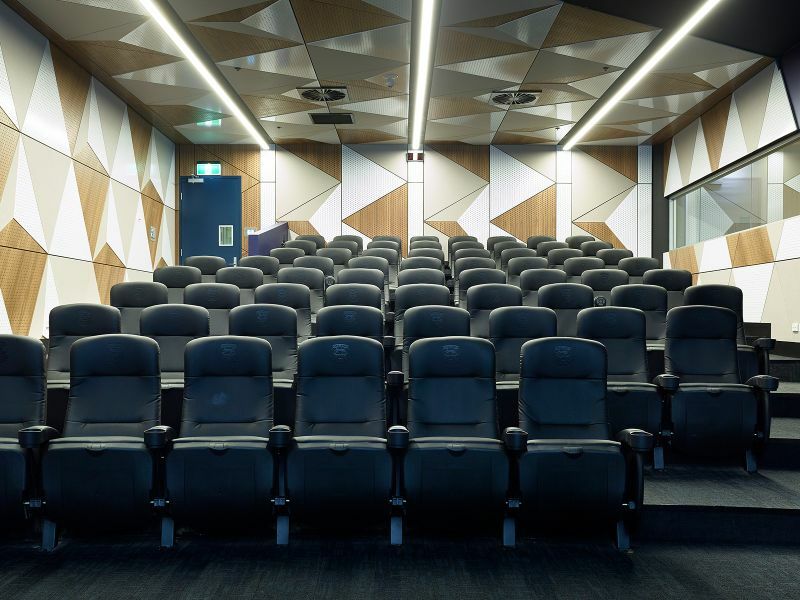 The ultimate Inner Sanctum event space, the auditorium is situated inside the Geelong Cats Costa Brothers Football Department and usually plays home to AFL players and coaches.